What is Photo Slideshow Director HD used for? 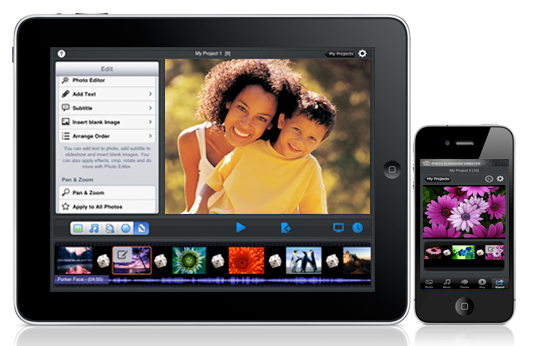 Photo Slideshow Director HD is a popular slideshow creator for iPad, iPhone and iPod touch. It can help you create a unique and stunning slideshow with your photos from iOS devices albums and Web albums(Facebook, Picasa, Flickr, Dropbox, SkyDrive and Instagram). Then you can share your photo slideshow to Facebook and YouTube, or watch it on your HDTV. It is a good tool to showcase and enjoy your precious photos in an interesting way.